Our lives are governed by interwoven banks of collective customs, civic conventions, and public contracts. Often erratic, sometimes fleeting, and usually deeply ingrained in our patterns of life, these protocols silhouette our choices and shape the structure of society at every scale. There was a time in New York when the house was understood as an open system. It was designed not as a single entity but as a set of connected fragments that could change depending on the need. The space was flexible and adaptable on demand, and expanded also by means of collective domestic services and spaces. The kitchen was optional as the rest of the rooms and sometimes it was left apart: kitchenless. This typology blurred the traditional limits between the public and the private sphere, between the domestic and the urban and thanks to its flexibility and share-ability was able to shrink radically housekeeping costs, waste and labour. Still nowadays the idea of home is ultimately a cultural construction whose malleable limits go beyond its physicality. A home and its kitchen is, therefore, a diffuse entity. Anna Puigjaner is co-founder of MAIO and recipient of Harvard University’s 2016 Wheelwright Prize. 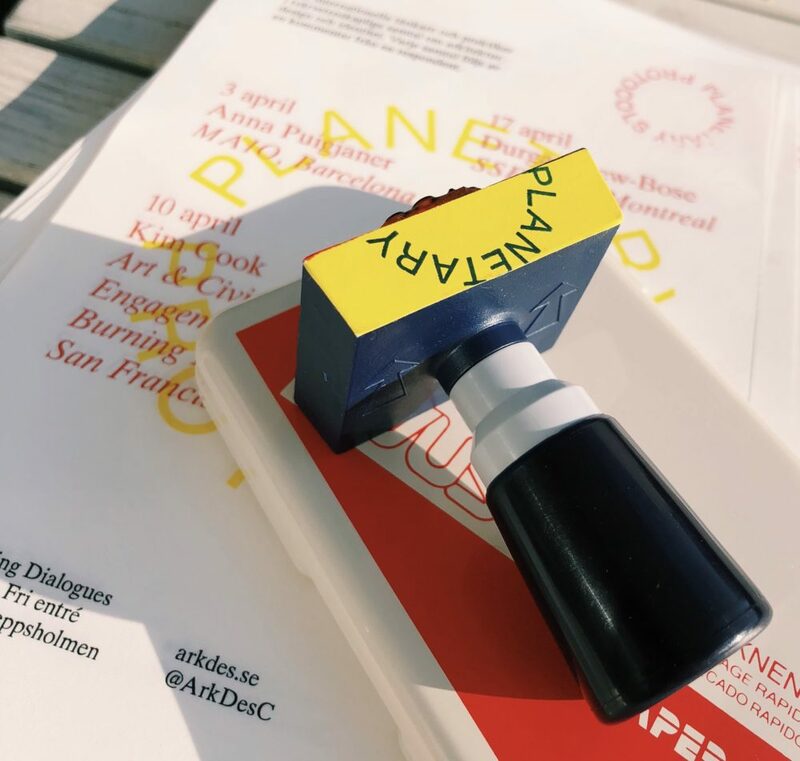 When we as citizens are intentional about the use of design in the public realm we can nurture, facilitate, and even catalyse creativity, stronger social ties, and meaningful connections to each other – and to the places we inhabit. This event will present a contrast between general urban realities (using the United States as primary reference) and the annual temporary city in the Desert—called Black Rock City and known as Burning Man—which serves as an opportunity to explore how temporality allows us to innovate, test new ideas and enact creative experiments. The lessons of Burning Man offer the possibility of translating those temporary strategies into active choices that make a lasting impact in other environments. From the experiential to the physical: design matters. Kim Cook is director of Art and Civic Engagement at Burning Man and former President/CEO of the Arts Council of New Orleans. “I think the writer has to be responsible to signs and dreams. Receptive and responsible,” said American author Joy Williams. “If you don’t do anything with it, you lose it. You stop getting these omens.” The potential loss that Williams speaks of is, perhaps, one of my greatest fears as a writer. Imagine that. A lacking born from turning off one’s feelers – those funny, hard-to-define inclinations we might have, those radars and heart beams that keep us open. On Shallow Stairs—although I promise it will be rife with tangents—will explore art as alloy and art as a gathering of signs and omens, as Williams puts it. Topics discussed will include: the writings and paintings of Manny Farber, Mexico City, fonts, overnight fixes, Agnès Varda, Agnes Martin, Abbas Kiarostami, sardines, family vacations, glassware, Peter Doig, Marguerite Duras, Montreal metros, sandcastles and Proust, and of course, shallow stairs. Durga Chew-Bose authored Too Much and Not the Mood (2017) and is a senior editor at SSENSE. Cooking Sections comprises architects Daniel Fernandes Pascual and Alon Schwabe. Beatriz Colomina is Professor of History and Theory of Architecture at Princeton University. 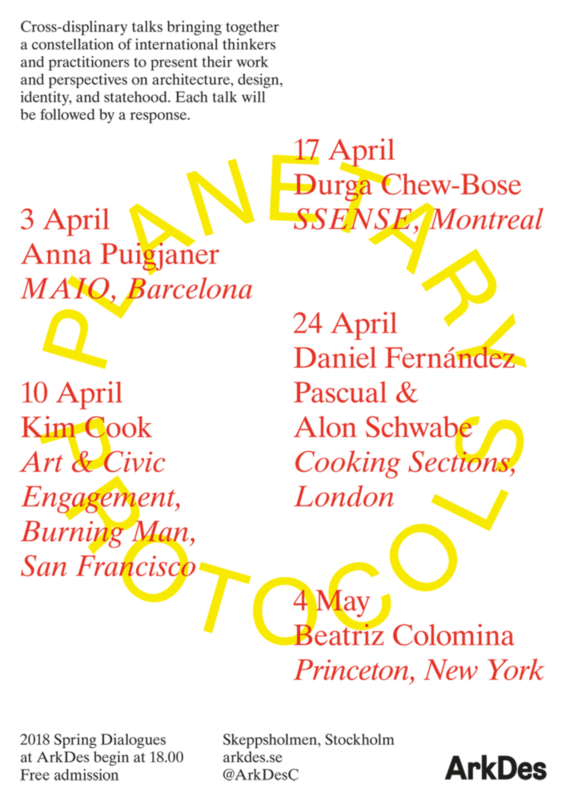 Planetary Protocols took place at ArkDes in Stockholm in the Spring of 2018.